Renaissance covers a fascinating century of warfare, from the close of the Medieval era to the eve of the Thirty Years War. The period starts with the French invasion of Italy in 1494 and the armies are still largely Medieval in weaponry and organization. 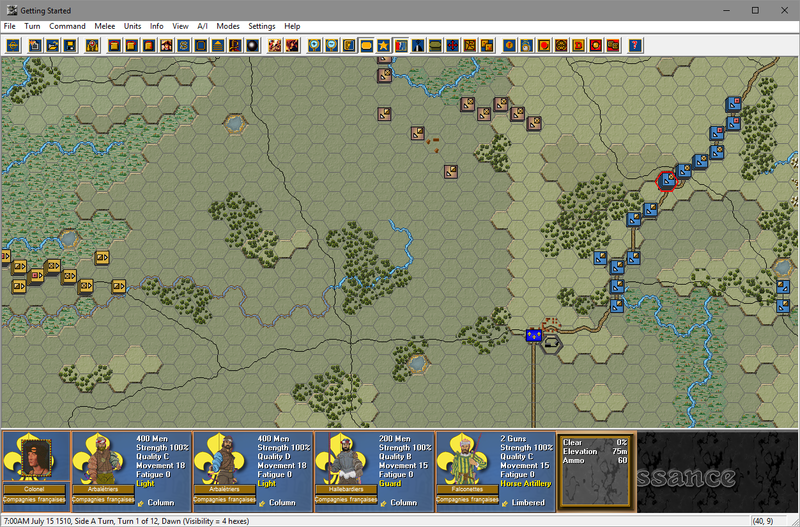 While firearms and artillery are present on the battlefield they have yet to secure a dominant tactical role. However, by the close of the sixteenth century, traditional missile weapons such as the longbow and crossbow had been supplanted by arquebuses, muskets and pistols, while the proportion of firearms to pike had greatly increased since 1500. The pike, once the primary infantry weapon for many armies - and often a decisive battle-winner in the hands of professional Swiss and Landsknect mercenaries - was, by the close of the period retained primarily as a protection against cavalry, a role it continued to perform for another century until the invention of the bayonet made it redundant. 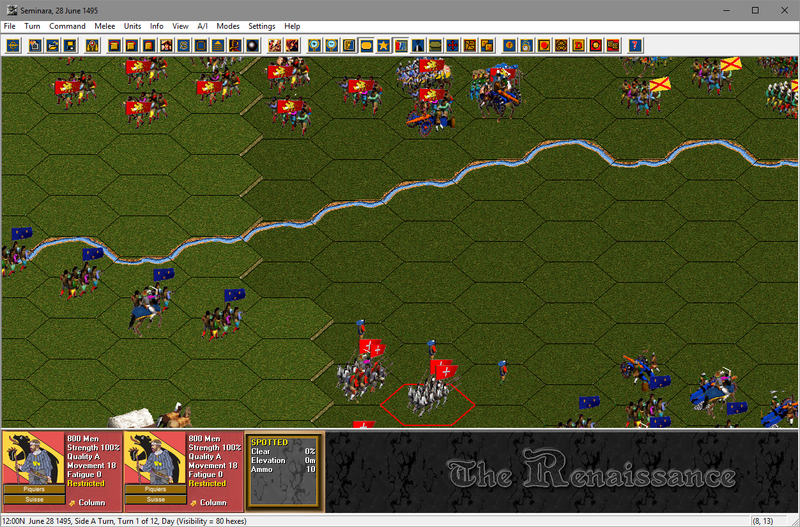 With Renaissance, you can refight the Italian Wars between France and Spain as well as the various Anglo-Scottish battles of the 16th century, or lead Ottoman armies against Persians, Mamelukes and Western Christendom! 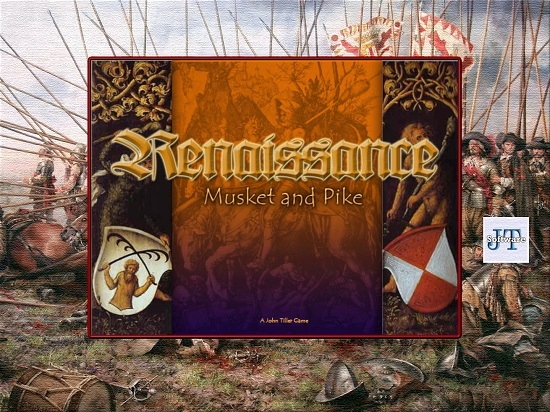 Experience the pike & shot warfare of the French Wars of Religion and the Dutch Revolt against Spanish rule. These conflicts involve a wide range of different troop types and weaponry, providing a diverse and rewarding gaming experience. Renaissance covers the Italian Wars between France and Spain as well as the various Anglo-Scottish battles of the 16th century and includes the Ottoman armies against Persians, Mamelukes and Western Christendom. 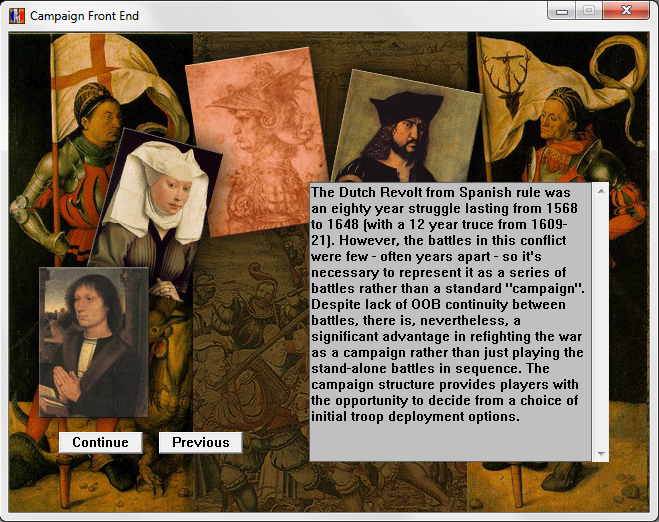 Also included are the French Wars of Religion and the Dutch Revolt against Spanish rule. 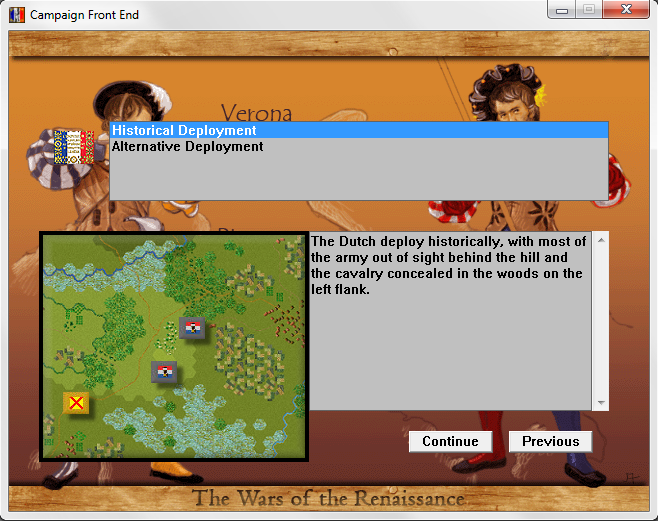 5 campaigns with another 115 scenarios specifically for the campaigns. A wide sampling of battles from small to large actions. 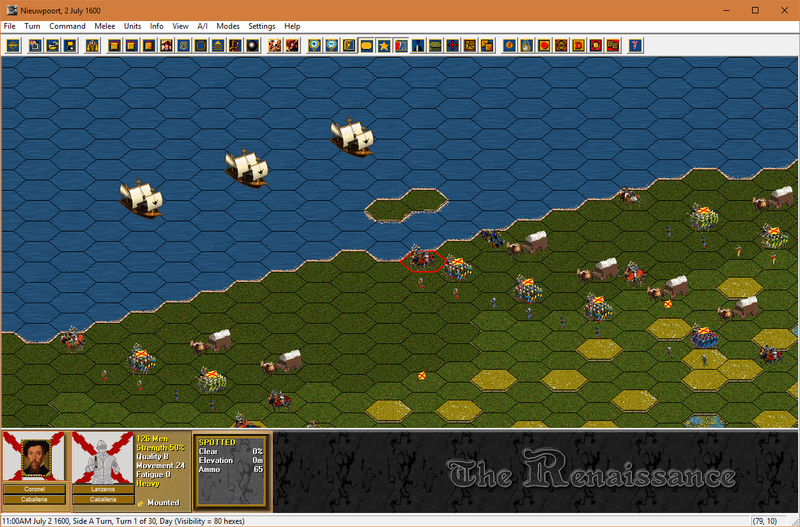 60 unique maps ranging in size from 480 hexes to 76,800 hexes providing ample ground for scenario designers to create their own actions. 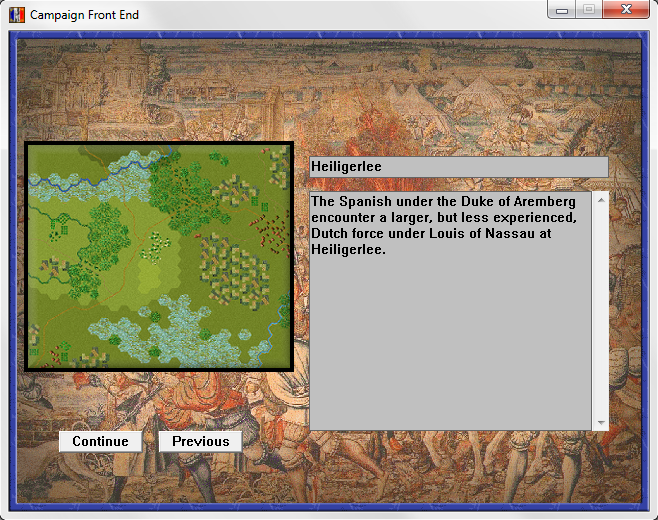 Turn-based play with mostly 15 minute turns. 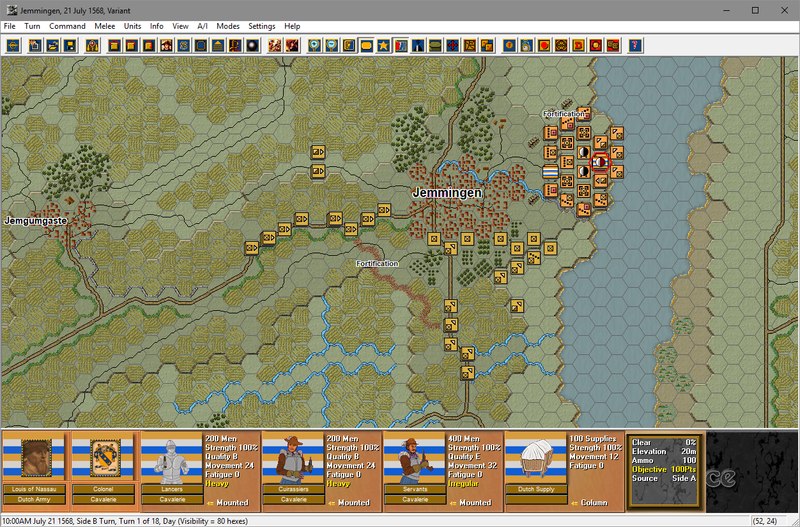 Both 2D and 3D views of the battlefield with multiple zoom-levels are supported. 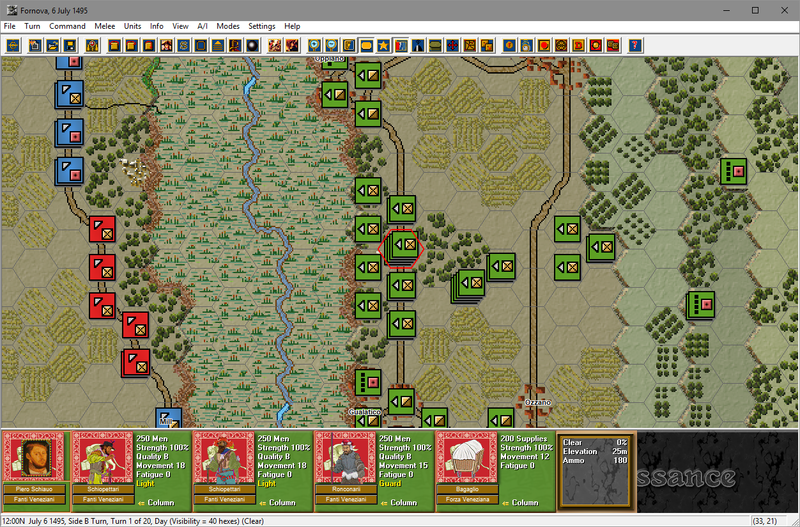 Units include infantry, cavalry, artillery, leaders, and supply wagons as well as specialized formations such as block. 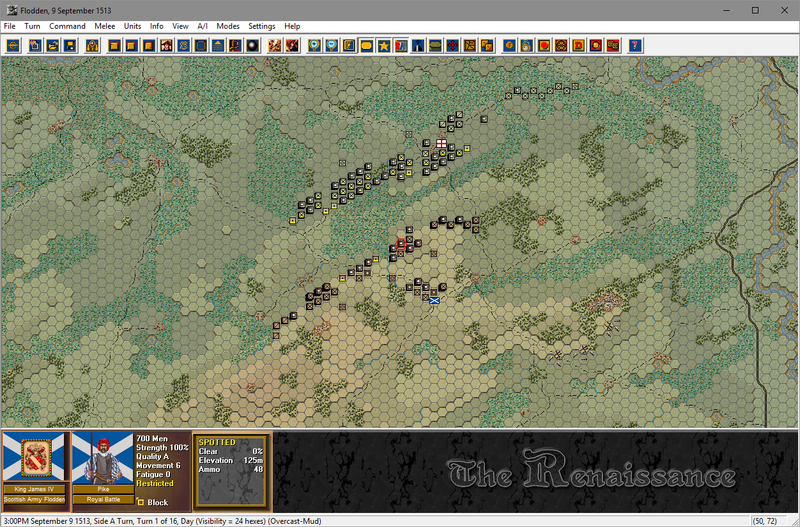 Detailed weapons including the lance, javelin, musket, arquebus, crossbow, and pike are included..
Command, Fatigue, Supply, and Terrain rules all affect game play. The Musket and Pike game engine provides multiple play options including play against the computer AI, Play by E-mail (PBEM), LAN & Internet "live" play, and two player hotseat.